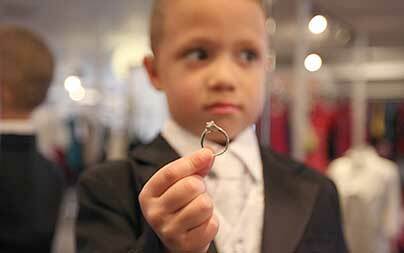 Brides on a budget: Buying a little tuxedo for your ring bearers is less expensive than renting! 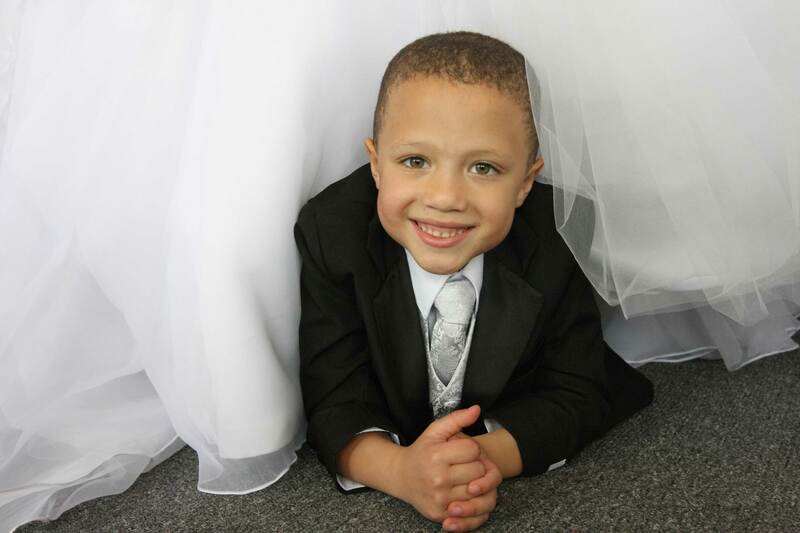 We opted to buy the tuxedos from Saturdays Prom and Bridal for our ring bearers. It saved our budget about $200! A month before the wedding, I enlisted help from Mr. Cooper and my mother to accomplish this task. Barry, age two, was too cute! My nephews were very well behaved. 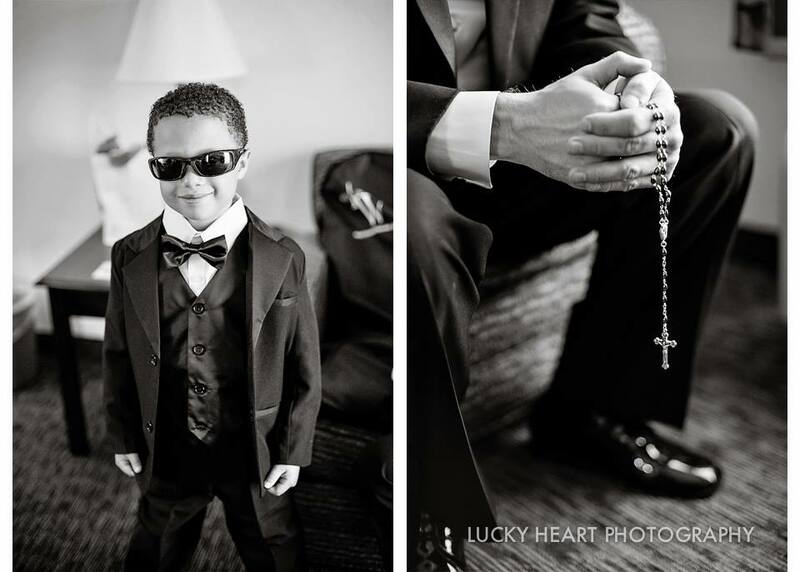 Our ring bearers wore a tux from Tip Top Kids. It took less than a week for the order to arrive. We purchased an additional bow tie because the suit came with a neck tie. Bow ties are cool. My six-year-old nephew, Sean, loved his new look! How could I tell him he had to give it back? He was so excited that he could keep his new clothes. Bonus for Aunt Nana! 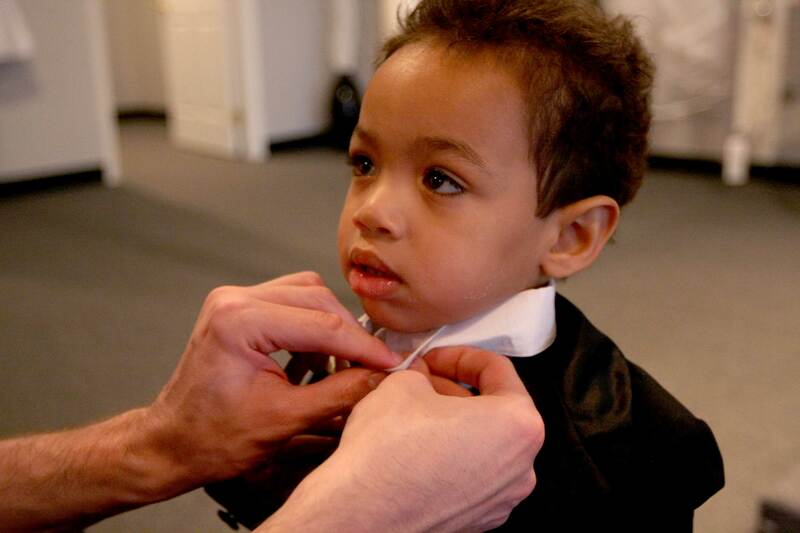 On our wedding day, Sean took his ring bearer responsibilities very seriously! Both boys looked dashingly handsome! Barry wouldn’t walk down the aisle. It happens. I’m just so happy that both boys were there on our wedding day. Here is a wedding photo of Sean taken by Lucky Heart Photography.